MATCHWATCH : Blackburn Rovers (h) sponsored by Gunnarsson hitting the bar - Hob Nob Anyone? Blackburn are not doing at all badly, thankyou very much. Stuck on the fringes of the play off places they're a well organised outfit though their form seems so be very prone to wild mood wings veering from losing to winning streaks and back again. Currently they've started losing (which actually probably isn't that good for Reading) after following up last weeks 5-2 stuffing at Brentford with a 1-0 loss at home to Bristol City however before that it was 4 successive league wins (v Hull, Ipswich, Millwall and WBA) but before that is was 3 successive defeats (v Sheff U, Leeds & Norwich). Their current away form though isn't great with 1 win and 2 draws to show for the last 9 on the road. Good news for Reading is it seems that at last the defensive side is starting to gel reasonably successfully, trouble is the club is struggling really badly at the other end of the pitch to get anything remotely clear cut, let alone getting the ball into that net thing but at least if that miracle ever does happen there's a chance the club might successfully hold out to collect 3 points. Injury news for Blackburn is that they have doubts over Lenihan and Evans but sadly looks like Dack, Graham and Mulgrew will be ready to go. Dominic Samuel didn't feature against Bristol City so perhaps that's one possible bullet that might be dodged on Wednesday. As far as we know there's no new injuries for Reading after Sheffield Wednesday and Ejaria will presumably be back after illness. It may be feasible that Oliveira gets a game but I'm not really expecting it so if he is involved that's a bonus. This could be a game that really sets up Reading's remaining season. A win for Reading and no win for Rotherham at Hull (they play on the Tuesday night) with push Reading into the safety zone although how long that would given that Reading next have to go to Sheffield United is anyone's guess. Even a point would take the club out of the bottom 3 if Rotherham lose at Hull. Just don't want to think about any other outcomes! I expect the crowd attendance for both teams will be down as the old "red button" is going to provide coverage so when you weigh that up against Reading's depressing form and the likely freezing cold and/or possibly wet conditions there's likely to be only one decision for many. Reading hadn't played a league game against Blackburn until a 1-1 draw on Saturday 1st December 1979. Since then there's been a further 8 visits from the Rovers and it's all been fairly even with 3 wins to Reading and 2 to Blackburn. Apart from one game, things have tended to be very close affairs with a goal deciding it or more than likely no goals happening whatsoever - so yet another 0-0 probably wouldn't be surprise to anyone. At long last I hope to be out of the drop zone this week! I watch ifollow on my iphone 8+ and have no problems with the sound or commentary, i fact its way better than using my laptop. I watch ifollow on my iphone 8+ and have no problems with the sound or commentary, in fact its way better than using my laptop. 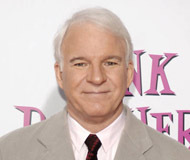 I swear Steve Martin is always here. We have goals in the team- Barrow, Swift, McCleary. It`s about time these players started hitting the back of the net. Mcleary had a great chance in the 2nd half on Saturday and didn`t even test the keeper. Agree, probably McCleary seeing as Barrow may have learnt to defend. I'd be tempted to bring in Kelly for Baker... But I'm sticking to minimal changes being important still. No idea what the team selection will be. The keeper and back line should pick itself, it looks solid now. Just hope Swift is dropped and maybe Kelly given a start. Nelson Oliveira had stitches removed, looking well healed up, whether he is match fit is another matter. windermereROYAL Nelson Oliveira had stitches removed, looking well healed up, whether he is match fit is another matter. In 1989 I was decapitated. Still turned out for my team the next day. What is wrong with people? Wanting Liam Kelly to start? Wow. Old Man Andrews What is wrong with people? Wanting Liam Kelly to start? Wow. Would say the back 5 picks itself, which after two clean sheets can only be a good thing. Rhino in midfield and NO as striker, the rest are somewhat interchangeable. Hendo Would say the back 5 picks itself, which after two clean sheets can only be a good thing. No changes for me, unless NO is fit, in which case bring him back for Aluko. Other than that, keep the same team, consistency of selection and the first choices all playing together will be key as we move forwards. Royals and Racers We have goals in the team- Barrow, Swift, McCleary. It`s about time these players started hitting the back of the net. Mcleary had a great chance in the 2nd half on Saturday and didn`t even test the keeper. Well if he was in fact finished 2 years ago it isn't that embarrassing is it?